Looking back and appreciating life in Oaxaca, 2018. 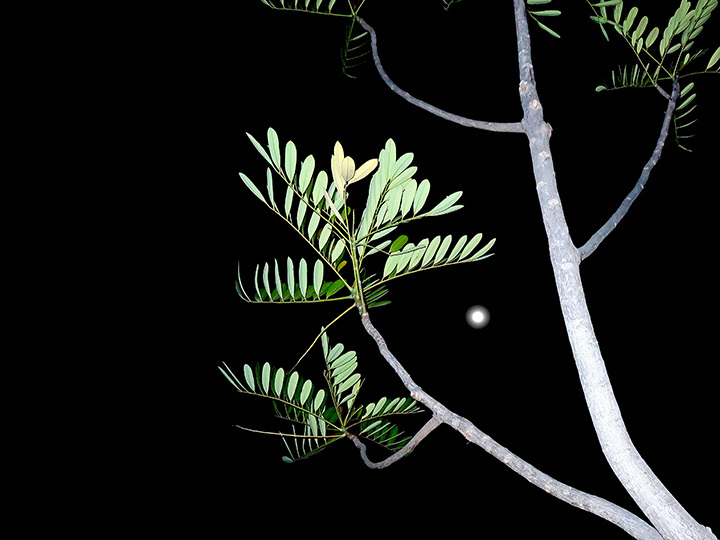 January – View through the terrace pistachio tree of full Wolf Moon. 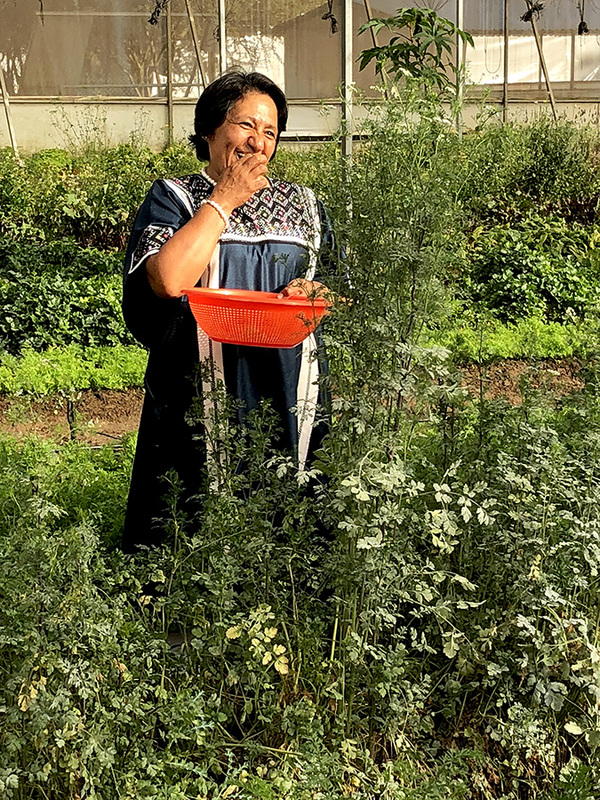 February – Guest helping to harvest Waje dinner at Rancho 314 urban farm in Santa Cruz Xoxocotlán. 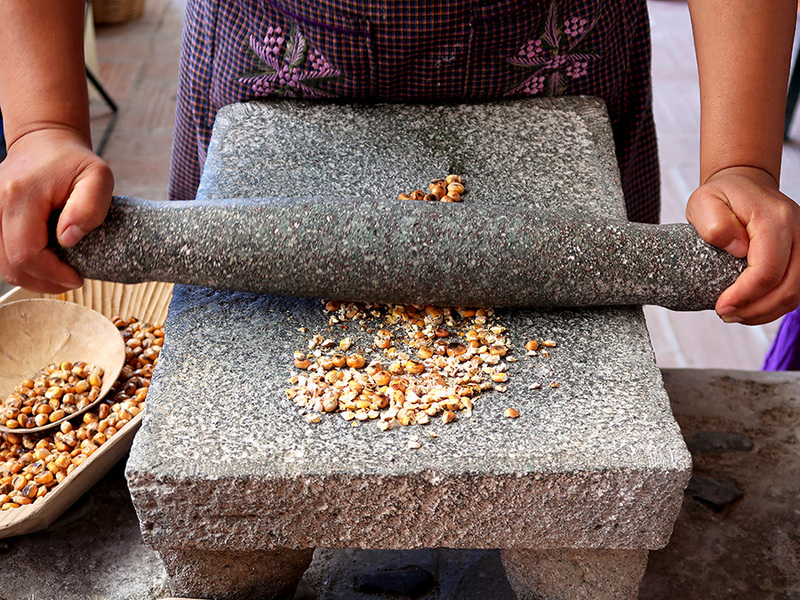 March – Reyna Mendoza Ruiz demonstrating metate technique at El Sabor Zapoteco cooking class in Teotitlán del Valle. 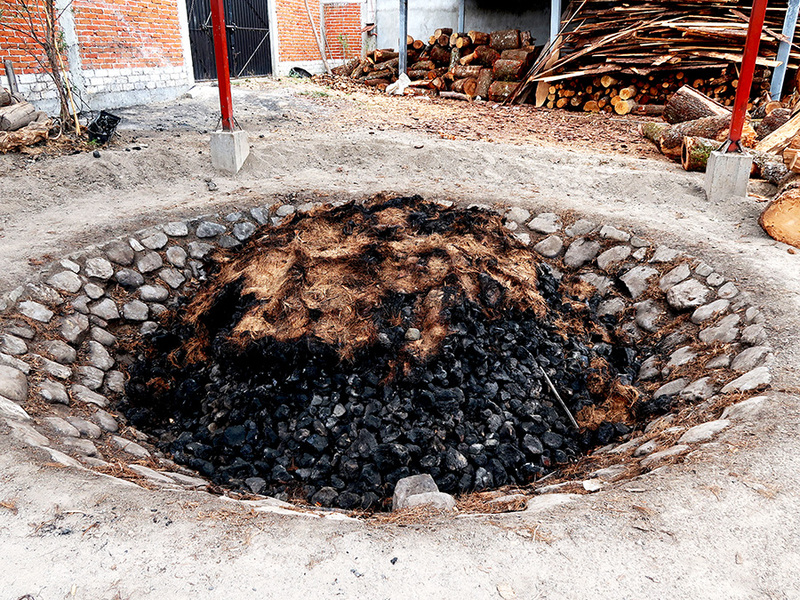 April – Pit for cooking agave piñas to make mezcal at the palenque of Faustino Garcia in San Baltazar Chichicapa(m). 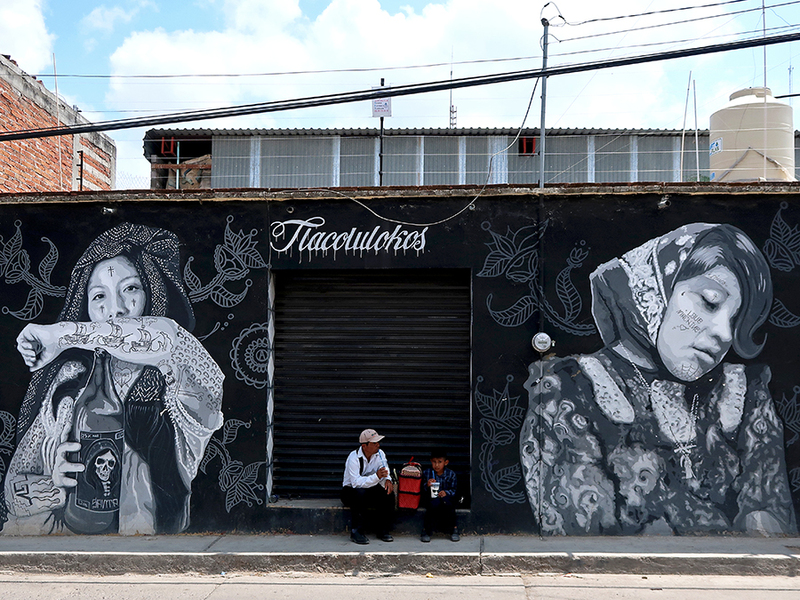 May – Tlacolulokos mural in Tlacolula de Matamoros. 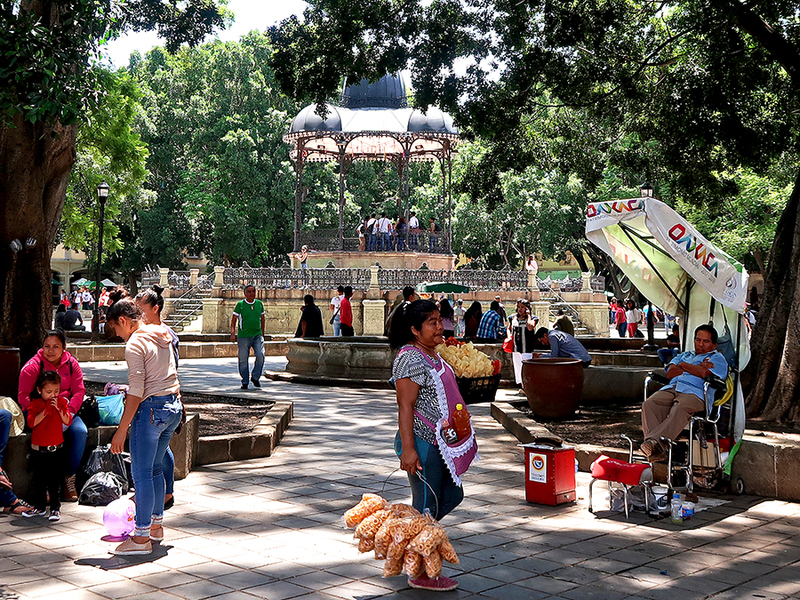 June – Summer afternoon on the Zócalo in Oaxaca city. 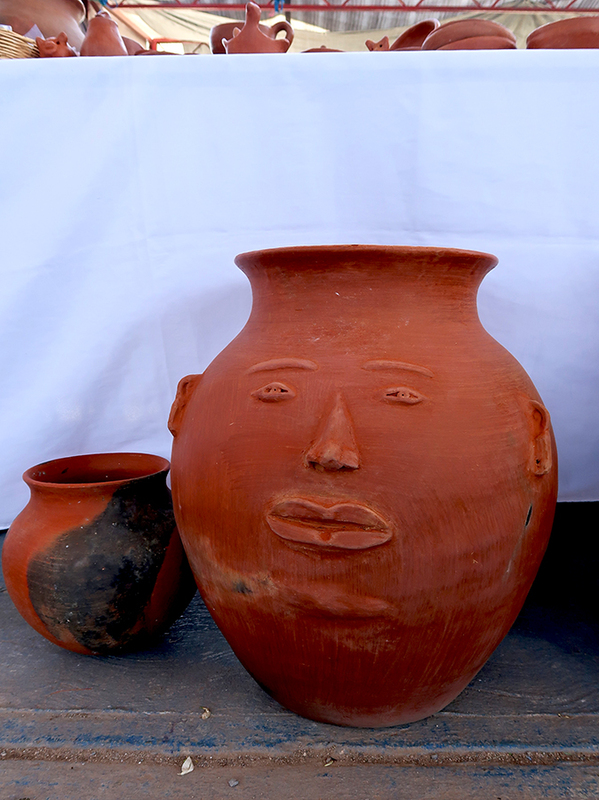 July – Feria del Barro Rojo in San Marcos Tlapazola. August – Fundación En Via microfinance tour to San Miguel del Valle. 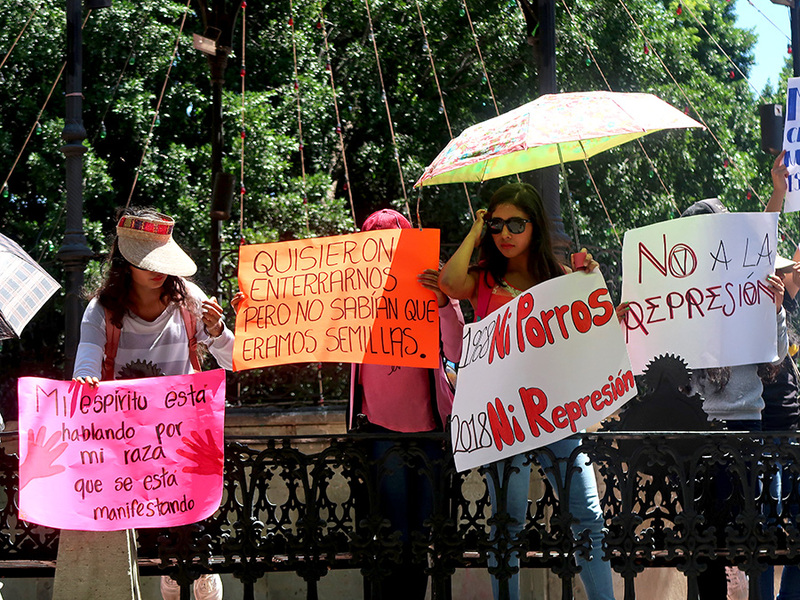 September – Protest by students from the Escuela Normal Bilingüe e Intercultural de Oaxaca. 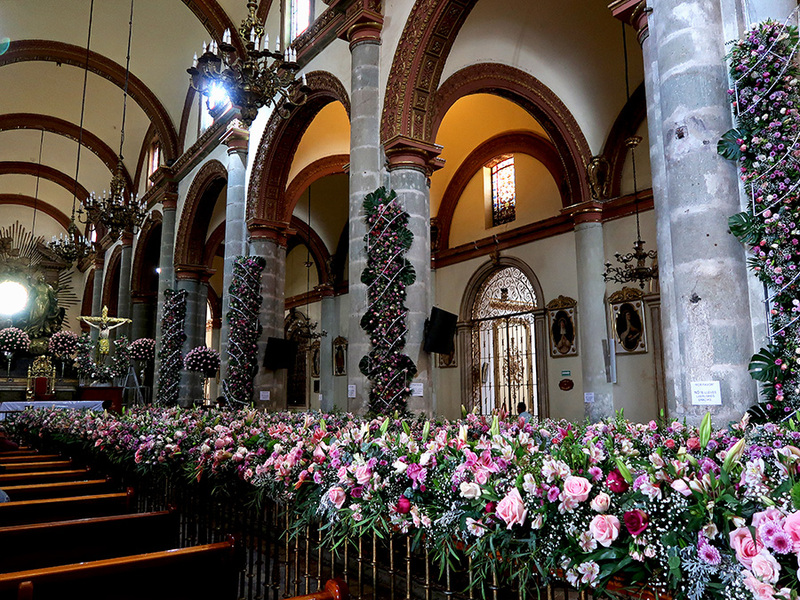 October – Celebrating el Señor del Rayo at the Catedral de Nuestra Señora de la Asunción. 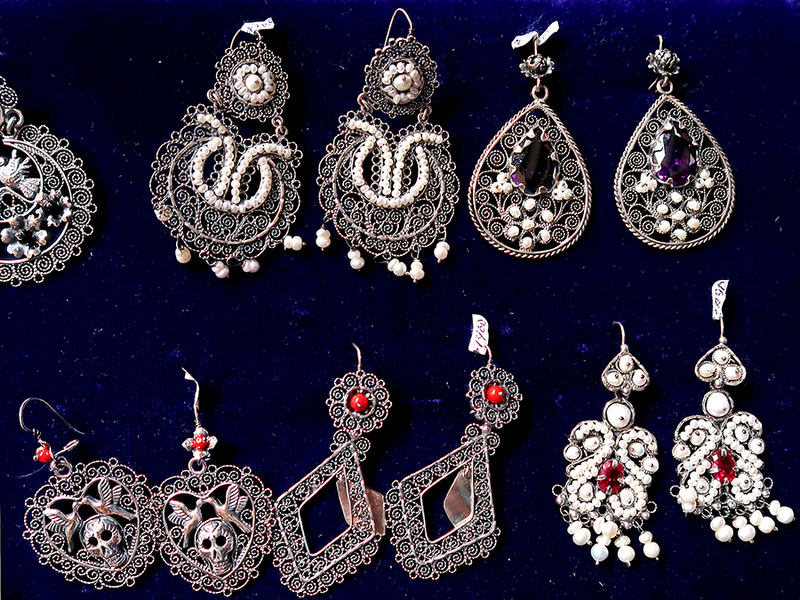 November – At the home/workshop of filigree maestro, José Jorge García García. 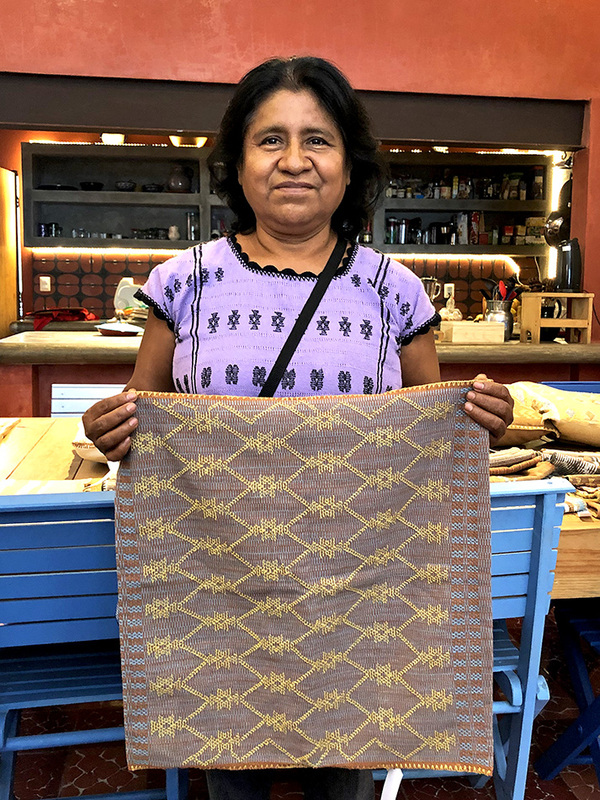 December – Pop-up sale in Oaxaca city by the Las Sanjuaneras weavers from San Juan Colorado. Feliz año nuevo y muchisimas gracias to all my wonderful blog readers from near and far! Thank you for reading, for commenting, for sharing, for the opportunity to meet some of you, and for inspiring me to continue. Onward to 2019!!! Thank you Shannon for a wonderful year of Posts with such insight! I wish you another new year of the same. Thank you for reading and for your complimentary and encouraging words! Feliz año nuevo. Feliz Ano Nuevo! Gracias for all the wonderful pics and posts ! Thanks, Archie! Great seeing you in 2018. Shannon I love your blog, especially the pics. It keeps me happy during the long months in el norte. Can’t wait to get back. Thank you for the kind words and continuing to read! All the best in 2019. Shannon thank you so much for your wonderful blog. Steve and I both start our morning with a cup of coffee and time spent on the computer. first checking the news of the world and then a much needed good vibe from The blogs of our friends in Oaxaca. You keep us connected to our home away from home. muchas gracias and Feliz And Nuevo. Thanks for your continuing encouragement! Looking forward to seeing you on your next trip down Oaxaca way. Happy 2019 Shannon; what would life be without you and your blog! ¡Feliz año nuevo Connie! Your comments always brighten my day. Hope to see you in 2019.